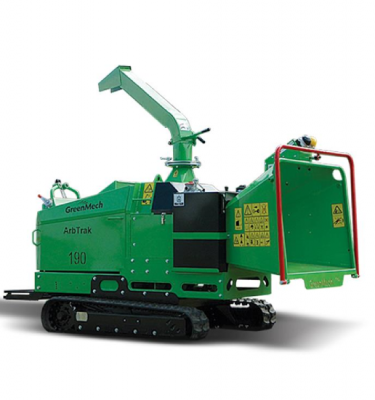 The SAFE-Trak 19-28 is designed with GreenMech’s award-winning patented track extension system, allowing massive ground clearance of up to 550mm enabling access across the most difficult terrain. 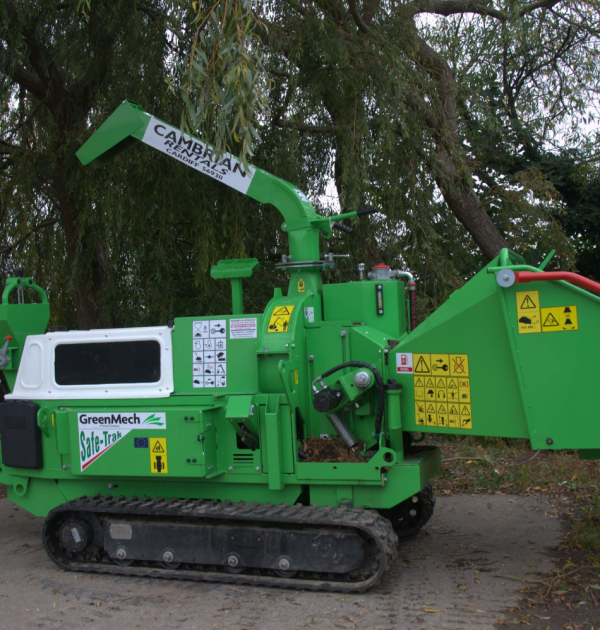 This pioneering feature makes is a popular machine for de-veg contractors working on power line and railway track maintenance. 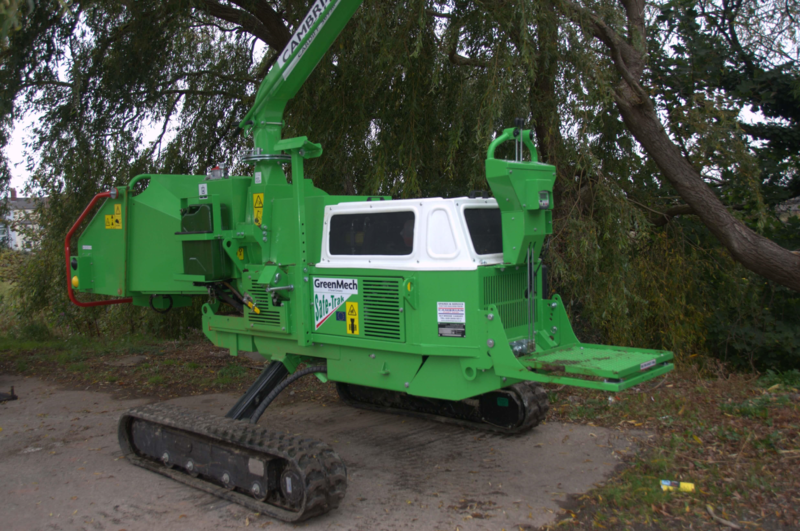 Also, by extending only one track at a time, embankments up to 35° can be traversed in complete safety, allowing the chipper to get to the material to be chipped. 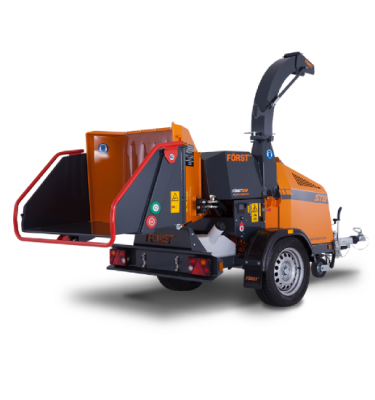 In addition, a twin pump system, delivering a flow of 90lt per minute, gives swift tracking speeds of up to 6km per hour. 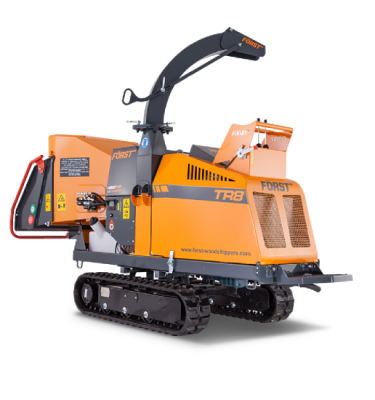 Fitted with a 50hp Kubota diesel engine and a 4 Disc-Bladed flywheel, the SAFE-Trak 19-28 is an impressive work-horse and comes with all the standard features expected of a GreenMech chipper. 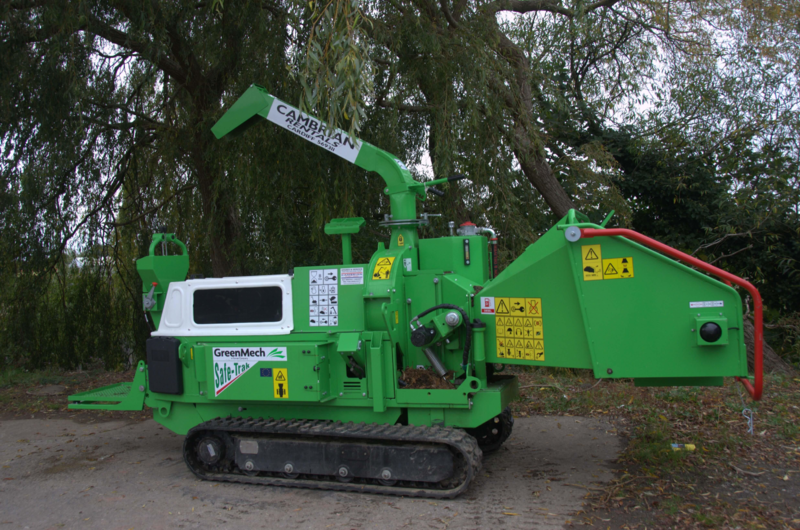 These include a 190mm x 280mm letterbox style infeed throat and powerful twin hydraulic feed rollers that drag even the most awkward forked material effortlessly to the chipping system. In total, this gives the SAFE-Trak 19-28 a performance far in excess of a comparative chipper. 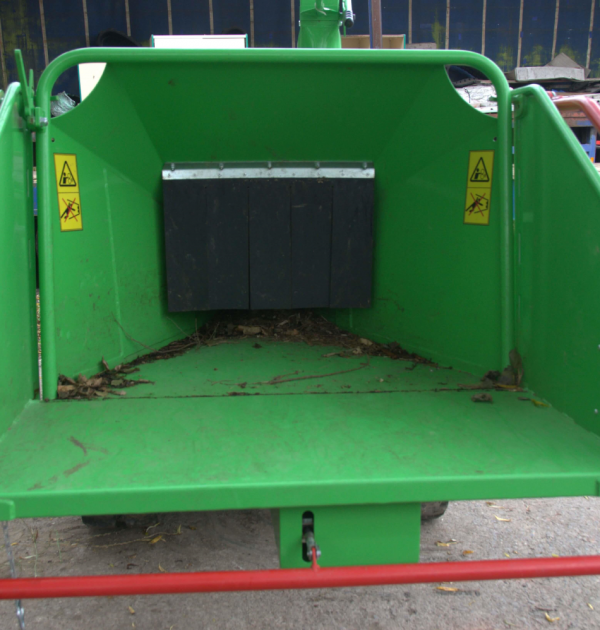 This ground-breaking machine is engineered with an all-electric control system including a re-set button at the driving end of the machine for user comfort. 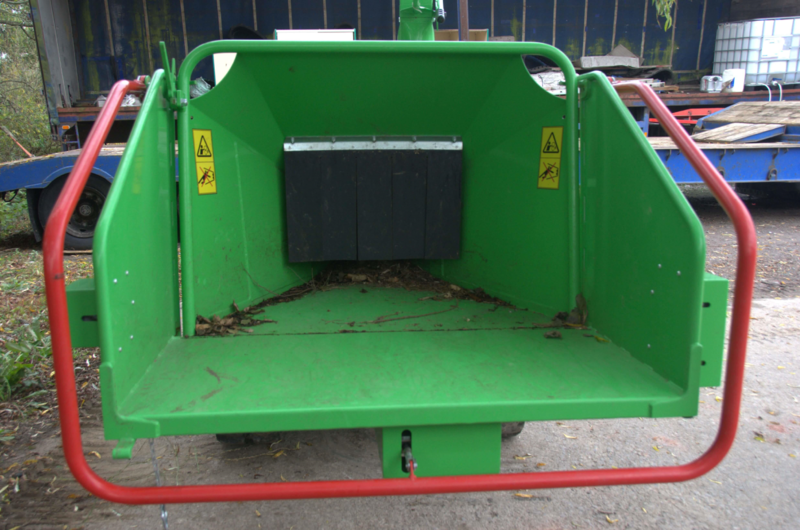 For security, this can be hidden by the driving platform when the machine is not is use. This feature also allows for remote throttle control at the working end. 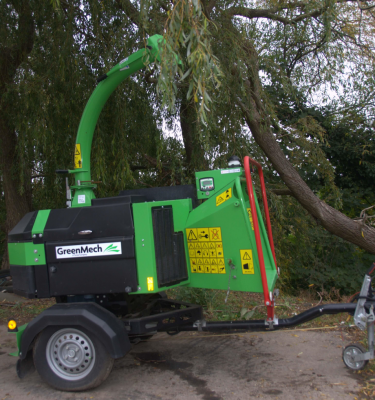 For additional user friendliness, GreenMech has included in the design a support leg to aid track belt replacement, a jerry can for emergency fuel and vibration isolation on the stand-on platform. 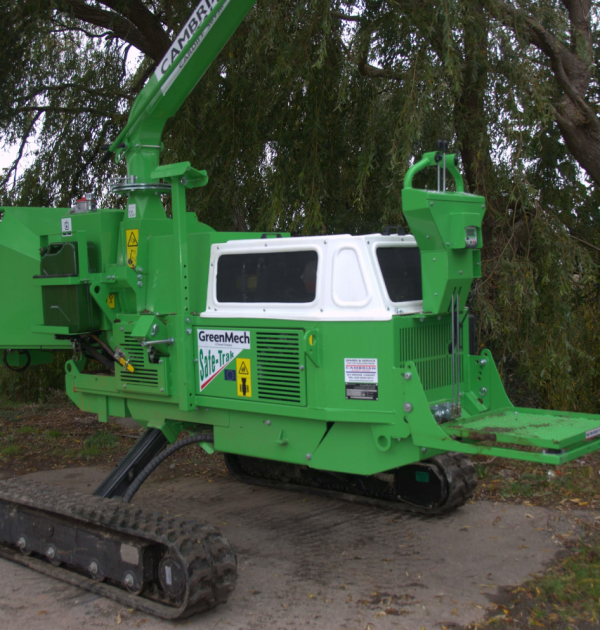 This model also comes with the option of an electric winch.